Saw this ST at Dauntless Boatyard today. She had a bit of makeover! Couldnt see any ID indications, any ideas? She is being fitted out as a liveaboard. 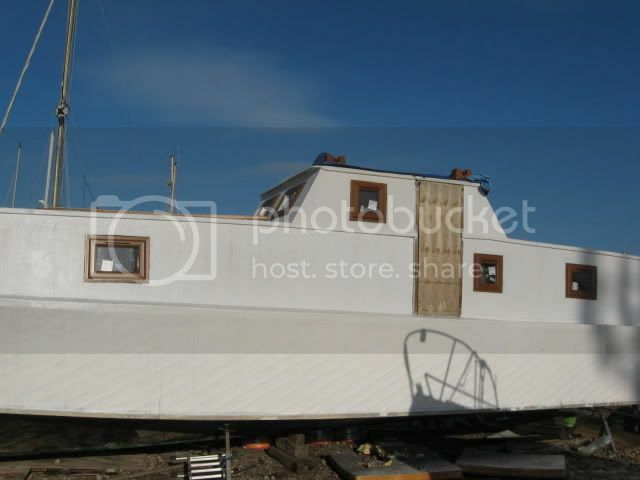 The hull has been glassed over and some windows fitted, actually the quality of the work looks ok, shafts still fitted. Bit sad to see of course but at least she is going to provide someone with a home! Yes, agree, but as you say, still providing a service to someone! cosy for one or two I guess, dose not look to bad as you say. See latest Ship's Monthly has a piece in preservation section about MGB 81 and HSL 102 now at Portsmouth, and latest historic boat section of the dockyard newsletter says they are fitting shore power cable and emergency bilge pums to them, also need to work out training to be able to man them, regret a little to far away to participate myself, but perhaps might attract more people to run these vessels, albeit of course a lot more work to do in this and upkeep, hope they can manage it of course. 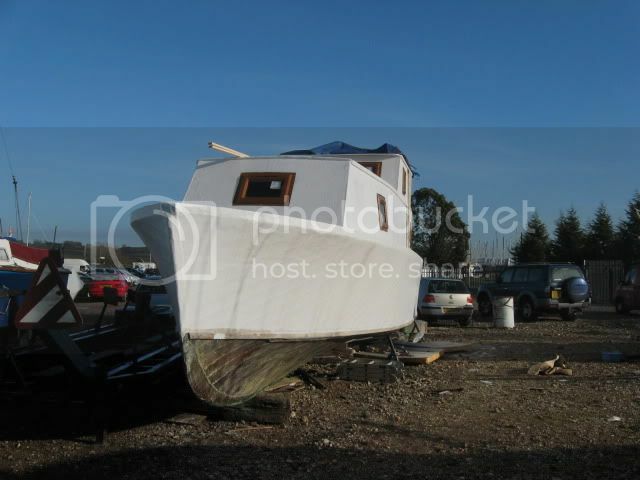 yuck what is it with liveaboards having to look like a hull with a shed on top. You don't own a boat, a boat owns you. 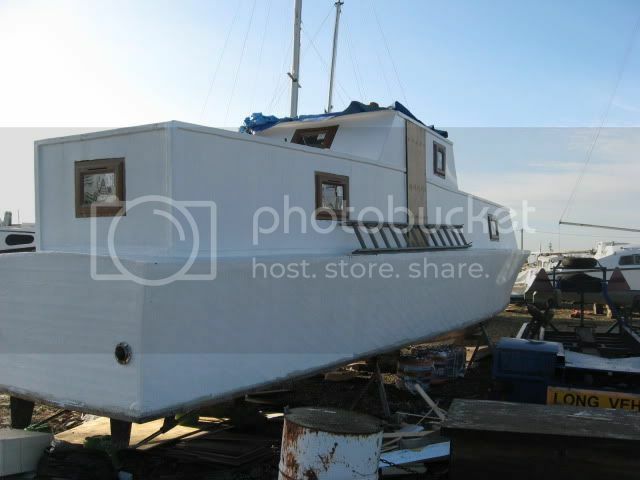 Yes,it dose seem to be the way, guess really to provide the room to liveaboard, had a shed on the boat I used to own, but was not an historic craft by any means. White Lady is more than roomy enough for a liveaboard, yet does not look like a reject from homebase. just like to say that due to the restoration process on these two vessels the up keep is no different to a modern boat ! Anodes , antifoul , keep the brightwork up together and maintain the machinery. All that they need is competent people involved. 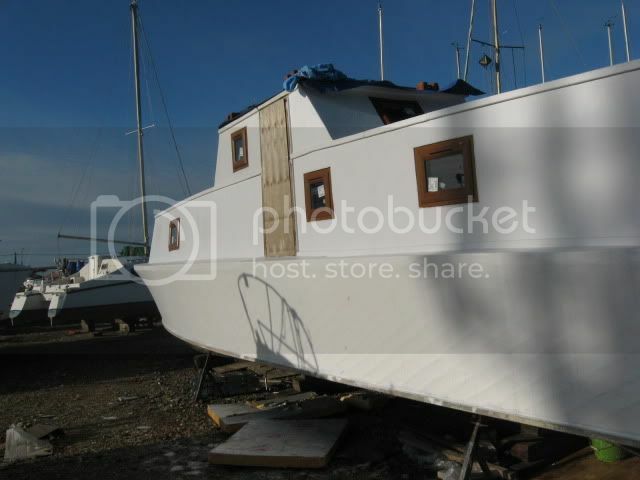 If the owner of this boat was a forum member would you be as rude about his efforts to build a home? you must remember that these boats originally were much different inside than yours as they were built to do different jobs and without his effort there would perhaps be one less ST to restore in the future. All of the remaining HSL MGB MTBs etc have been live aboards at some time, I doubt they would be here if it was not the case. well having restored 102 and having had it coded to take out the public in my ownership i can asure you that they are !! totally agree with you, when i found hsl 102 she was in a similar way , mgb 81 spent many years as a clubhouse for cadets and Raf 206 was going to be used as a cold frame to grow tomatoes . All 3 boats were being preserved in one way or another . Now restored to their former glory the public can appreciate them . 102 is a core collection vessel , 81 is the only restored gunboat from the last war and 206 has gone from cold frame to exhibit in a national museum . Unfortunately there are too many people out there who do an awful lot of talking and little else! bit like an organisation i once knew !